Bellbridge is a small town in the state of Victoria. 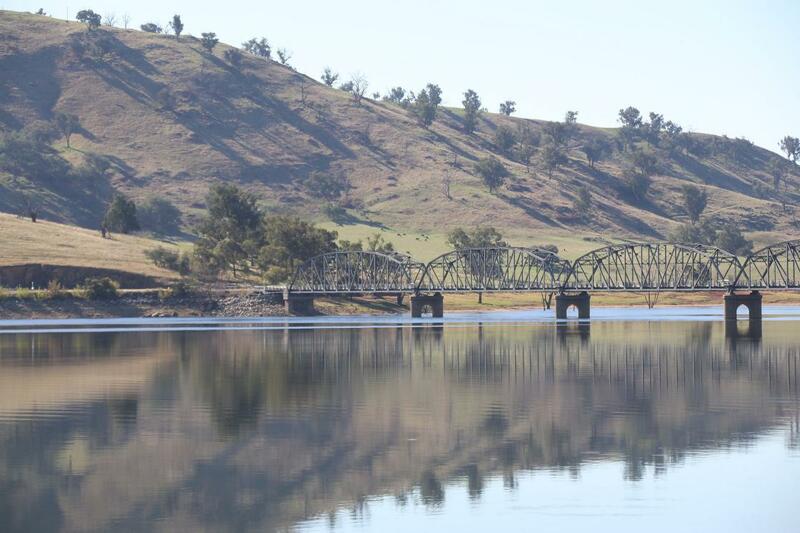 Overlooking the Lake Hume and located near the Bethanga Bridge, Bellbridge is a popular destination for local tourists, especially from the nearby towns of Albury and Wodonga who often come to the Weir to water ski. The local Hume Boat Club holds an annual get-together for water skiers from across Victoria. Bellbridge is a small town in Victoria which sits on the banks of Murray River / Lake Hume. Access to Bellbridge when driving from Albury along the Riverina Highway is over a long bridge. This seems to be a lovely little community with a boat club on the water and a rotary walking track around the edge of the lake. We parked the car to take a walk around the park overlooking the water with a wonderful sculpture of a Murray Cod sitting near covered picnic tables. have you been to Bellbridge? Explore Bellbridge with RvTrips and find out where to stay, what to do and what to see. Helping caravan, motorhome and camper owners have a great holiday.